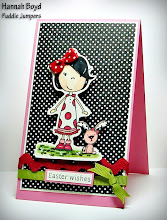 Bo Bunny Papers and Embellishments. 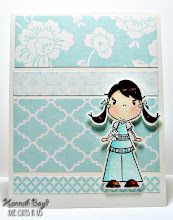 Click below to shop for the papers used by the TPE Girls!! This Collection was positively perfect for this week's challenge!! Thanks a so much Tonya!! Hope you all find time to join in the TPE Fun!! Wow Hannah! I have NO doubt you make your mother proud!!! You did a FABULOUS job on these cards!!! I love how you did the buttons and circles on the second card. I always have trouble getting my nesties to make perfect circles with the image I'm working with. You did yours perfectly!!! If you get a chance, I'd love to have a few pointers!!! Thank you for doing such a fab job with the papers! Hannah you are so talented sweetie! I am amazed every week with your creations! 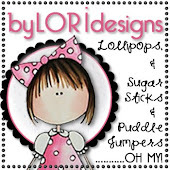 Lovely cards!! The color combos are great! Great job with the challenge! Lovely cards Hannah!! You did a fabulous job with this weeks challenge! !